We are back. It was an amazing holiday with the family. After a red-eye flight and a time change we are still very groggy and in shock coming back to dreary "wet" coast weather. I am hoping that this weekend I can catch up on blog reading and post writing! I have a few amazing products that I was offered to review, can't wait to share them with you! Also another amazing giveaway lined up, a product you have seen around the internet and that is created by a local blogger/designer who has become a friend and has to be one of the most sweetest people around! What is with the weather here in Vancouver??? Don't the weather gods know I have a lot of brown furniture to paint? Come on already - get warm so I can open up the garage and get rid of the brown! Also while I was gone I noticed my little ditty about finding a chic piece to house our pet snake made it to Apartment Therapy! Thanks for the mention Apartment Therapy. Now I am off to enjoy my cup of coffee and organize my thoughts, day and house. Welcome back! I was reading your facebook updates and was mighty jealous, I tell you! Looks like you had a well-deserved fun trip! What a fabulous mention!!!! Hopefully you won't start shedding your Hawaiian tan too soon or else we're going to have to cage you up and put you on a Ikea hacked shelf. :-) Welcome back B. Looking forward to our lunch. 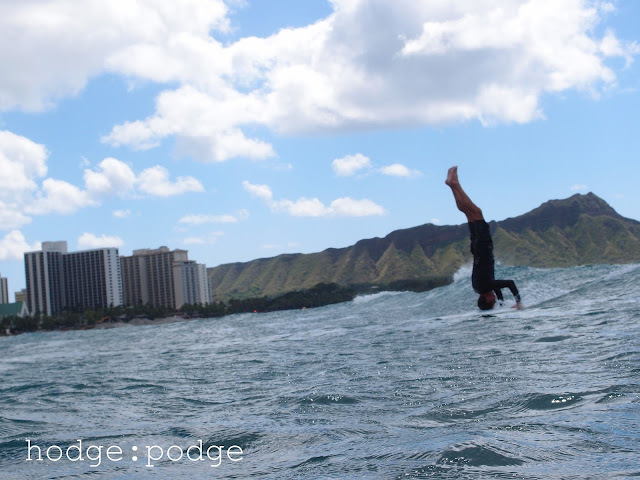 Glad to hear you had a fun, relaxing, and rejuvenating vacay! Better yet, congrats on the AT mention!! Sounds like you all had a wonderful time! It is in the 80s here already! CRAZY...we went from winter to summer!! Welcome home, great to have you back! Congrats on the AT feature! Yippee! How come you didn't bring back some sunshine for us peasants? ;) Glad you guys had sometime to relax and not think about ugh things. 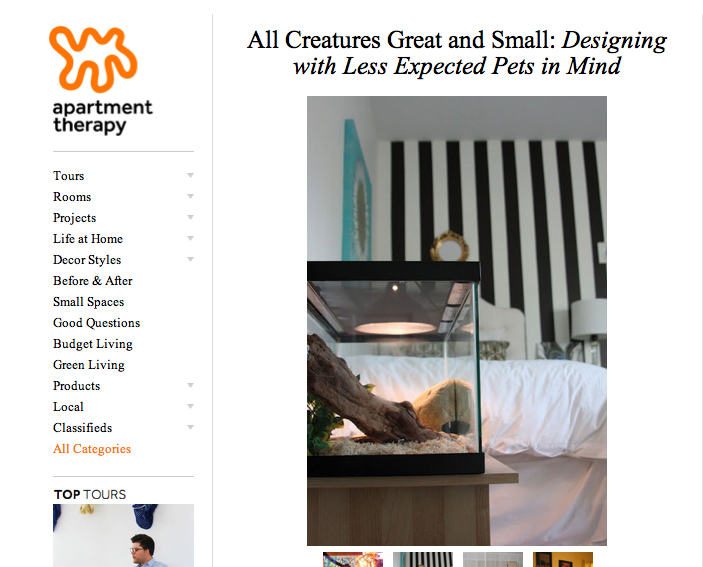 Loved your snake house - happy to hear it was mentioned at Apartment Therapy!